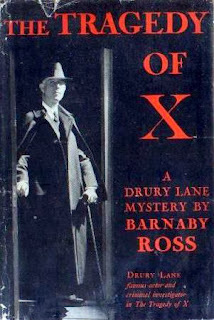 The XYZ Murders is a 3-in-1 volume by Barnaby Ross (aka Ellery Queen aka Frederic Dannay & Manfred Lee)--the star of which is Drury Lane, retired actor and amateur sleuth extraordinaire. Since the three novels included in this volume were originally published as separate works, I will treat them as such and review them accordingly. Part II: The Tragedy of Y is Drury Lane's second outing as recorded in print and it brings him in contact with the Hatter family--the Mad Hatters as they are known. The Hatters are not just mad...but they are thoroughly nasty people. The family is ruled by the imperious Emily Hatter--a woman who sowed plenty of wild oats before marrying poor York Hatter. York had been a brilliant scientist before Emily got him in her clutches--sucking the life out of him and making him bend to her every whim. She rules the rest of the household--three grown children, one daughter-in-law, two grandsons, a cook, a maid, and nurse--with an iron fist. The only one she seems to have any feeling for is her fourth child--a young woman born with certain disabilities and who has acquired more. Louisa is deaf, blind, and mute. The old lady's preference for Louisa only ensures that the woman will be hated by the rest of the family. And it isn't long before the family's madness and vicious streak takes hold. York is the first to go--drowned at sea and an apparent suicide. 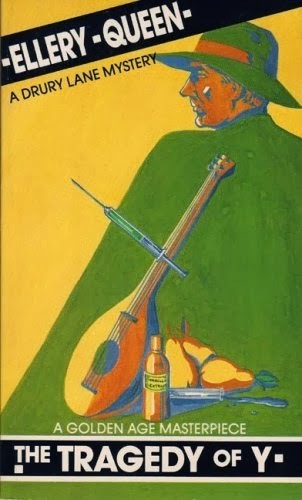 What follows is a rash of poisonings...all attempts to get rid of Louisa...and then, finally, murder when Emily is killed with the oddest of weapons--York's mandolin. The police are baffled and call in Drury Lane to help them get to the bottom of the mystery. There are clues and false clues and the first thing that must be determined is who was the real target? Were the attempts on Louisa genuine and the old lady killed to prevent the murderer from being caught too soon? Or will someone be wiping out as many of the Hatters as they can? Lane discovers that there is a detailed plan being followed...but whose plan is it? And why are there references to York Hatter when the man was the first to die? 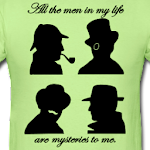 I am enjoying these mysteries featuring Drury Lane very much. The plots are nice and intricate and there are plenty of clues to be had. For a fair amount of the book it looks like a dead man may be responsible and the explanation of the plot is very pretty indeed (in the short form). My one complaint has to do with Lane's methods--he plays that brilliant amateur keeping clues from the police role just a little too well. There are real dangers in his secrecy. The other problem with Lane is his tendency to drag out his wrap-up. An explanation that should take--at most--four or five pages goes on for almost twenty. Another three and 3/4 star adventure. 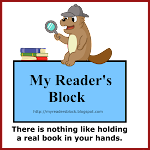 Link up all reviews for this month below. 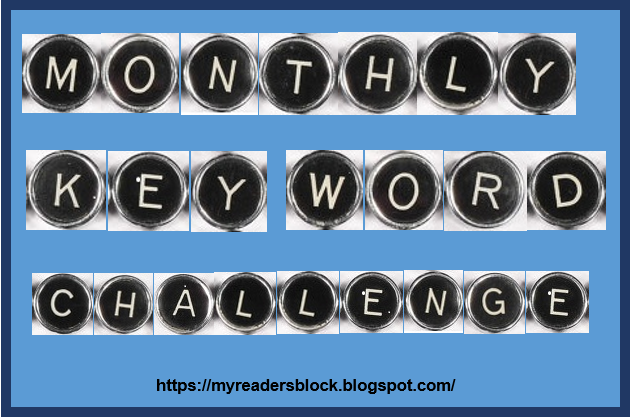 I actually completed my goal (five or more books) for this challenge back in March--but I knew that I would have more on the reading list that would qualify. I've now doubled my goal and am posting my wrap-up. 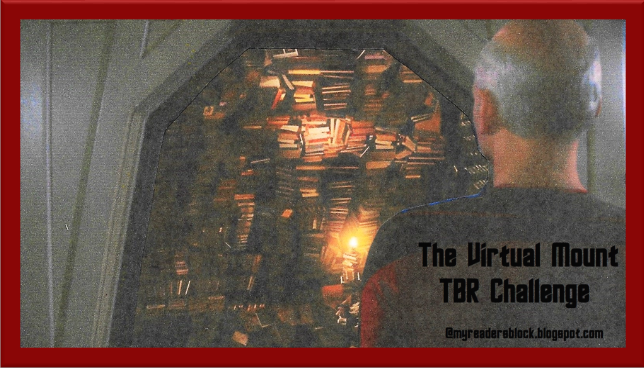 It's possible that I'll add one or two more before the year is out...but we'll have to see where my TBR pile leads me. Thanks to Gillion for hosting another fun reading travel extravaganza! Around the World in Eighty Days is a classic adventure novel by Jules Verne. I had seen two filmed versions of the story--the 1956 version starring David Niven and a host of stars in cameo roles and the 1989 TV mini series starring Pierce Brosnan and his own host of stars--but had never read the story (despite having a huge book with all of Verne's major works). I still haven't "read" it. 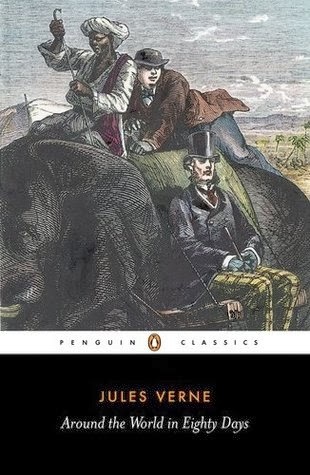 Faced with a long car trip over the Thanksgiving holiday, I popped in the audio version featuring Christopher Plummer as my narrator and listened to Verne's original story. I'm pleased to say that each of the films are remarkably faithful to the original--with only a bit of Hollywood glitz sprinkled in. The story should be a familiar one, but just in case, here is a brief run-down. Phileas Fogg is an eccentric English gentleman of precise habits. He dines at the same hour every day, arrives at his club exactly on time, and always plays whist with his fellow club members at the same hour and for the same amount of time. He is something of a mystery--beyond his obsession with precision and his preference for the game of whist, little is known about him. That he is wealthy is obvious--how he came to be wealthy is another matter--whether it be through inheritance or sound investments or some other means...no one knows. Fogg is so particular about the details of his life that as the story opens he has just dismissed his manservant for the inexcusable error of providing shaving water that was two degrees too cold. He advertises for a replacement and a Frenchman by the name of Passepartout arrives at his door in response to the ad. Passepartout has led a rather varied and adventuresome life, but is looking for something quiet and regular. Having heard about Fogg's passion for regularity and precision, he believes this to be the perfect position. Fogg hires him on the spot and sets off for his club. At cards that evening, the subject of travel and how small the world has become with all the modern travel (trains, steamer ships, etc) options available--why, a man can go 'round the world in three months! Eighty days, is Fogg's reply. His fellow club members scoff at this, but Fogg recites the various methods of travel available, the length of time required for each leg of the journey, and adds it all up to eighty days. After much discussion back and forth, a wager is made. Fogg will offer up twenty thousand pounds (five thousand for each of his colleagues) if he is unable to return to the club in time for their usual whist game in precisely 80 days. He finishes the card game and heads home to inform Passepartout that they must pack and prepare to journey around the world. And so Fogg's grand adventure begins--an adventure that will include saving an Indian woman from being burned on a funeral pyre with her dead husband, preventing American Indians from taking over a train, and inciting a seafaring crew to mutiny in order to reach England in time. 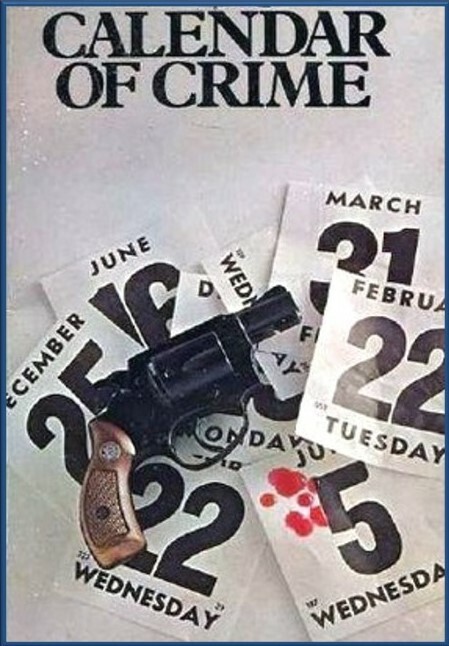 In the meantime, a great bank robbery has taken place and it is said that the thief is--of all things--a gentleman. When the detective on the case--one Detective Fix--hears of Fogg's intended trip around the world, he becomes convinced that this mysterious gentleman with abundant funds but no visible means of support must be the thief and he takes off after him on the famous journey. Fix dogs Fogg's steps until Phileas sets foot on British soil once more...where he serves him with a warrant. By the time it is proved that Fogg is not the thief in question and flies by special train to London too many hours have passed and it looks like Fogg has lost his bet. But there is one last surprise waiting for Fogg, Passepartout, and the Indian woman Aouda. Fogg may collect after all. This is my favorite Verne novel to date. I've read 20,000 Leagues Under the Sea and Journey to the Center of the Earth and they're both fine adventure stories, but Around the World is the best. I really enjoy reading about the proper, precise British gentleman making his way around the world and overcoming the various obstacles along the way. And Passepartout is such a charming sidekick for Fogg. I'm afraid I don't have much in the way of in-depth analysis on this one--listening to audio novels makes for pleasant driving, but limits my note-taking for review purposes. A delightful novel coming in at four stars....and now I want to pull out my Brosnan version of the film and rewatch it. First up is Drury Lane's debut novel, The Tragedy of X. Lane is a Shakespearean actor who was forced into retirement due to deafness. As compensation for his hearing loss, he has developed an extraordinary skill at lip-reading and his acting background has given him plenty of practice at the art of disguise. He will use both skills as he helps Inspector Thumm and District Attorney Bruno track down a ruthless killer intent on evening old scores. The story opens with Thumm and Bruno driving up to Lane's fortress estate on a mission to solicit his help with their latest murderous puzzle. Reference is made to the help he gave on "the Cramer case" but we, the reading public, are never enlightened with the details of that mysterious outing. The current victim is Harley Longstreet, a wealthy stockbroker, who has been killed on an enclosed streetcar in the company of his nearest and dearest. The method? A piece of cork stuck with dozens of pins laced with deadly poison. And who did it? One of the people on that streetcar. But there is no evidence and not even a clue to point the police in the correct direction. Enter Drury Lane. Like Sherlock Holmes, he sees and "hears" everything that the police do--but he observes all the finer points that the officials miss. He thinks to interview those that the police miss--or give only a brief once-over. Before long, Lane knows who the culprit is, but has no proof. Two more men will die before Lane can help the police put the cuffs on the villain. The story is an interesting variation on the locked room mystery. The streetcar's windows are all shut and the doors were not opened once Longstreet collapsed. None of the passengers were allowed off the car until the police arrived to question and search them. And yet Lane insists that there is a certain item that must have been found if that is true. How did the murderer kill in full view of a carload of passengers and how did she or he dispose of the crucial item? Solve that and you'll be ahead of the police...and Drury Lane. 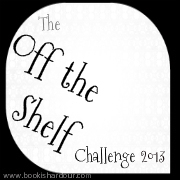 I have now completed the Off The Shelf Challenge for 2013. I signed up for the Hoarder Level and declared that I would do 100 books (even though 76 technically met the level requirements). The Patient in Room 18 is the debut novel for Mignon G. Eberhart. It is also the book that introduces Nurse Sarah Keate (who would appear in six of Eberhart's 57 novels). Nurse Keate is strong-minded, red-haired, and sharp-tongued. She has a bit of the Had-I-But-Known heroine's attributes and, though often quick-witted, she does fail to recognize certain danger on a couple of instances in this, her first encounter with murder. She is much more assured and consistently perceptive in The Mystery of Hunting's End (my personal favorite)--but I'm sure that, as with all things, practice makes perfect and as her involvement in murders continues she becomes more adept. In her debut, Nurse Keate faces the theft of radium (being used for medical purposes), the death of a patient and a doctor and the janitor/night watchman. The patient in question, one Mr. Jackson who needs the radium for his treatment, is given a hefty dose of morphine and sent into a permanent sleep. It would appear that the murder was necessary so the villain could steal the very valuable radium. 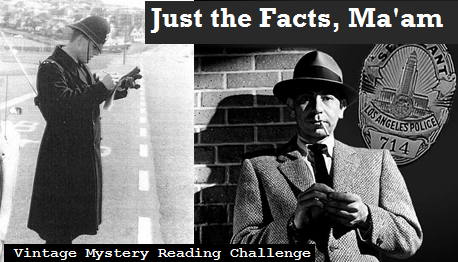 Detective Lance O'Leary, who has a very impressive capture rate, is called in to track down the radium and the killer. And he's the one who discovers the patient's doctor dead in a locked closet. Did the doctor walk in on the killer and get murdered to keep him quiet? Or is there more to this mystery than meets the eye? It would seem that there were at least four people wandering in and out of the Room 18 and most of them were carrying deadly instruments of one sort or another. And then, in a classic little move, Higgins the janitor/night watchman pops up and confides in Nurse Keate. You see--he's seen something that "just ain't right" and he doesn't know what to do about it. Despite her best efforts Higgins refuses to reveal the most important bits of his information because he simply has to run off and see to his boiler. And even though Nurse Keate sees one of the possible suspects slinking away, it doesn't occur to her that Higgins might actually be in danger because of his knowledge (this would be one of her less-than-stellar moments). Naturally, before too many pages are turned we have another corpse on our hands...poor Higgins. After finding the radium and losing it again, O'Leary (with helpful tidbits from Nurse Keate) manages to gather enough clues to stage a grand finale in....Room 18. All the suspects are brought together and O'Leary gives us the standard Golden Age wrap-up monologue. Accusations are thrown about until finally the villain slips up and reveals knowledge that only the killer could know. Snap goes the trap! And snap go the handcuffs! Despite my rather trite summation and being full of standard mystery plot devices, this really was an enjoyable read. I liked seeing Sarah Keate in her first mystery and watching her relationship with O'Leary begin. There are plenty of clues--I picked up on most of them--and plenty of plot twists--I missed some of them. And the denouement was very satisfying. I certainly recommend this early look at a hospital-based mystery with a strongly-written female character. Three and a half stars. If you'd like to join in the fun, then click on the 2014 Men in Uniform Challenge link for full details and to sign up. Challenge Complete! I may try for a promotion to Lieutenant, but my commitment is complete at Sergeant. I've now earned my Lieutenant's stripes! Who knows, maybe I'll make Captain. 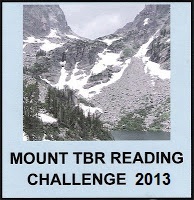 Currently, I'm sitting on 159...and I'm supposed to read 22 more to meet my Outdo goal for 2013. 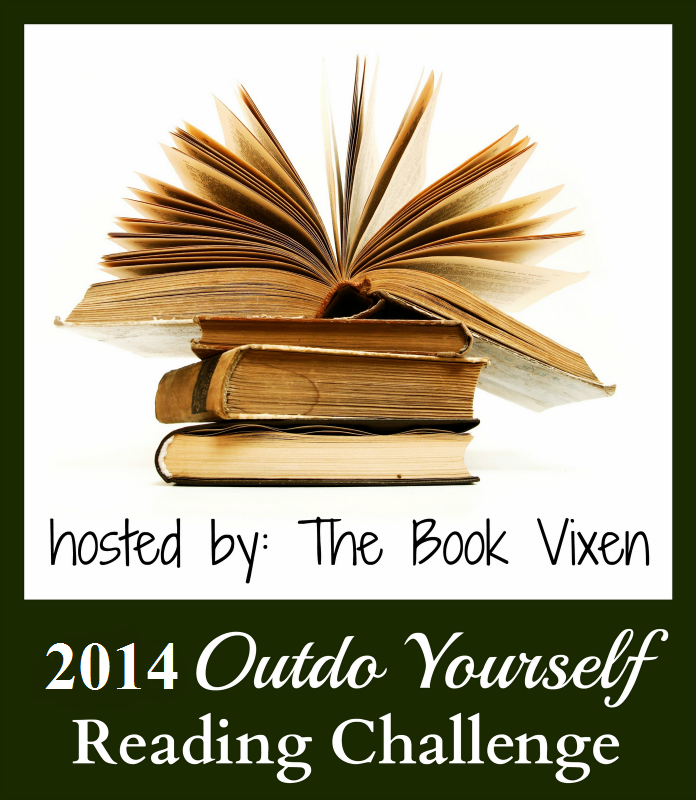 I better have a book in hand on New Year's Eve and be ready to take off when January 1 rolls around! 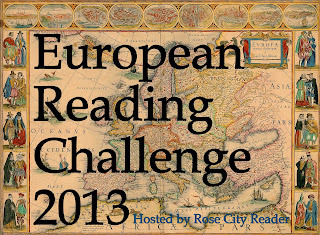 Well, I finished 2013 with 181 books that means that in order to meet this challenge, I will need to read 191 or more books in 2014.